Out of tradition, I tend to recognize the 39th day of each of my hikes because that is the number of days the sole survivor lasts on the reality show Survivor. There was nothing particularly Survivor-ish in this day other than that it was our 39th day on trail. The true title of this day should really be something more horse related because we were on horse trail most of the day. That’s where, “What Would Mr Ed Do?” comes from. We slept in since we had hiked later yesterday and left camp at 7am. We learned our lesson yesterday and were determined not to lose the trail today. All the notes say there is a horse trail that weaves back and forth over the river and then an old hiker trail. 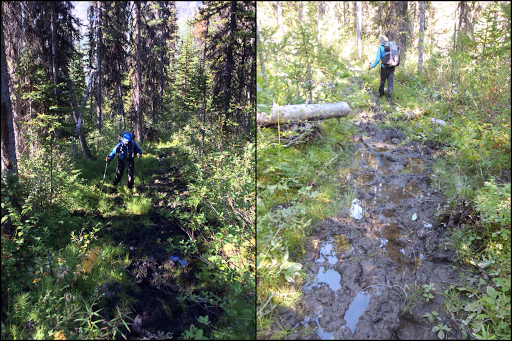 Our guess is that our trail that vanished last night was the old trail and that we should have headed toward the river right when it vanished into brush rather than taking so much time and effort to stick to it. 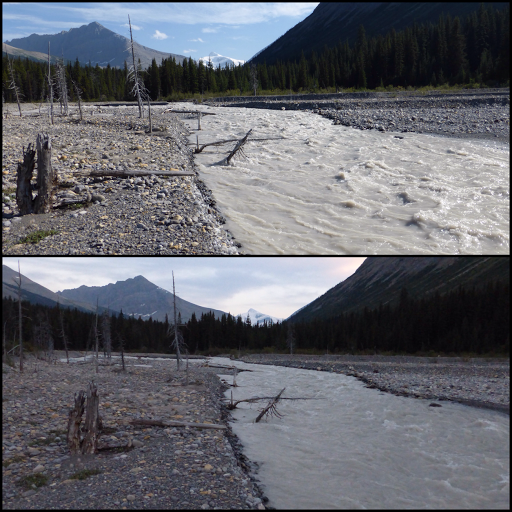 When we eventually did go to the river, the trail wasn’t there because it had weaved to the other side. Another point to make is that the river was much lower this morning and this whole stretch would be much better done in the morning when fording would be easier. So, off we went this morning. It was a chilly 40F/4.4C, but the brush wasn’t as soaking wet as it could have been. 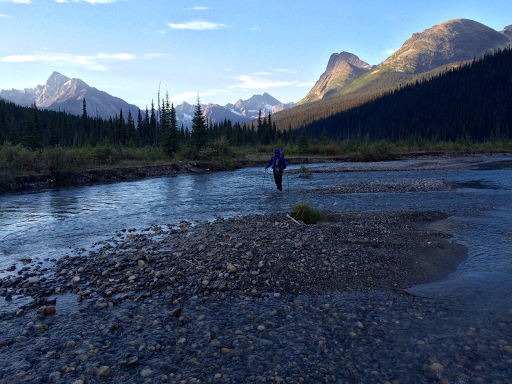 It didn’t matter much because we had to ford the Moose River almost immediately. We wove back and forth for a few hours to finish this Moose stretch. The trail was much easier to follow with blazes indicating where to cross, but sometimes following a horse trail can be in deep mucky suction cup mud and we didn’t have much of a stride going. The fords were simple and we ended up counting 7 crossings I think. I was kinda out of it with menstrual cramps that meds were only dulling a bit this morning. I really didn’t want to be hiking, and the energy required for this kind of hiking was taking it out of me. 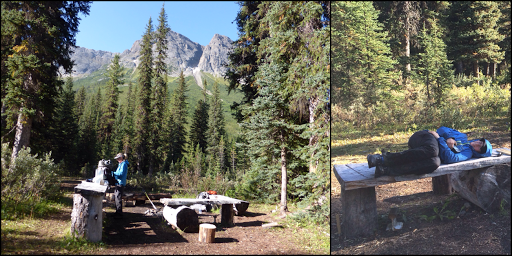 Since this stretch is mostly used by people on horse, the camps were decent sized and pretty decked out with personally made fire rings and places to sit. We stopped at the best one, Steppe Camp, for breakfast. While E did her morning routine, I took advantage of the time to go into the fetal position and rest a bit. I swear, I could have laid there all day! 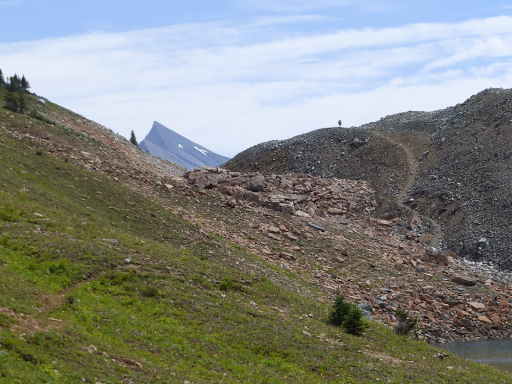 We started going up Moose Pass. 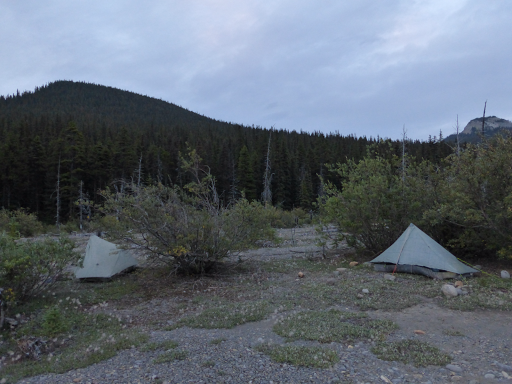 It was thankfully a gradual uphill that eventually broke out of tree line and hit another campsite where we took lunch and dried out everything that got wet overnight and crossing this morning. 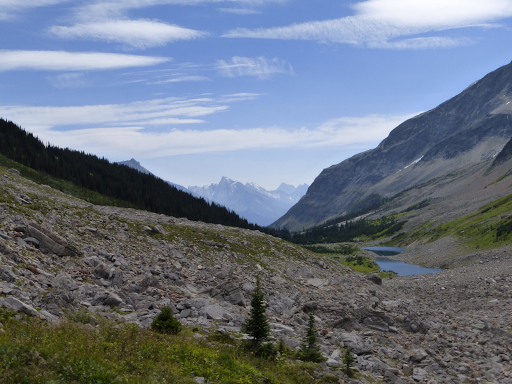 From there, we continued up and over Moose Pass. I got a bit ahead and met E a couple hours later at the next campsite. Moose Pass was the best part of the day! Here some pics looking back and then ahead. 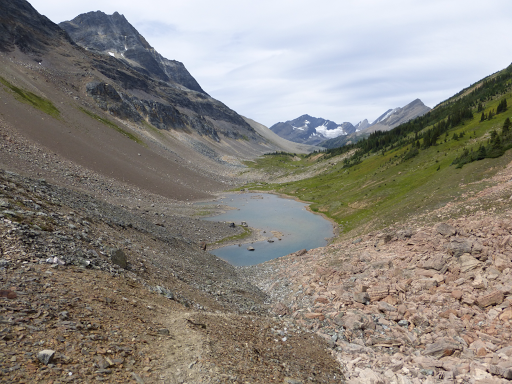 After we met up in the afternoon, we hiked down to the next obstacle, a flood plain with no trail. The notes we had was to basically go to the center of the flood plain and find a blaze where we’d cross the stream running through. 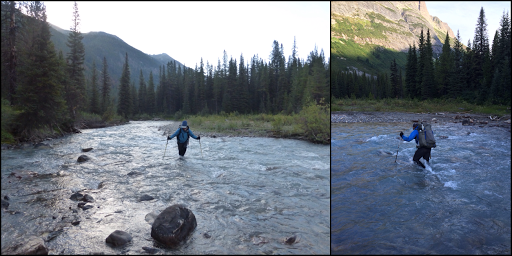 The stream was so silty that we couldn’t see anything, but the spot of the crossing was thankfully shallow. I’m happy we stopped a bit early at 6ish and I’m ready to crash. 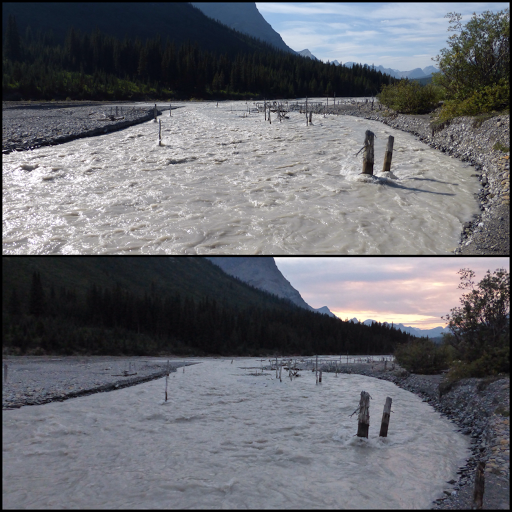 Tomorrow, we wake up to do a wide glacial outflow crossing. There’s a way to wake up!